A decade now after the 2008 financial crisis, the cultural and psychological imprint that it left looks almost as deep as the one that followed the Great Depression. Its legacy includes a new radical politics on both the left and the right; epidemics of opioid abuse, suicides, and low birthrates; and widespread resentment, racial and gendered and otherwise, by those who felt especially left behind. This week, New York continues our retrospective on the crash and its aftermath by publishing interviews with some of those who were closest to the events. 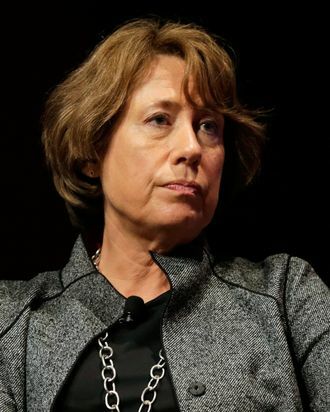 Here, Sheila Bair, head of the Federal Deposit Insurance Corporation from 2006 to 2011, speaks about why Citigroup should have been broken up and the structural and political reasons banks remain too big to fail. How bad was the crash, historically speaking? Pretty bad because it hit the Main Street level. There’s kind of the first wave of people who had these unaffordable mortgages and were getting hit by falling home prices and couldn’t refinance, so we were seeing the foreclosures pick up. When that started hitting consumer spending, and the banks had to pull back on credit because they didn’t have enough capital, then you saw people who had nice, safe mortgages who were losing their jobs because of the broader economic situation. Are there other market crashes that you could say hit Main Street? You’d have to go back to the Depression. If you could change one thing about how it was dealt with from the policy side, what would it be? You said once that the government should have let Bear Stearns collapse! Hold on, what would you have done with Citigroup? We should have taken steps to restructure and downsize it. There’s been a lot written on that, but I think that was a missed opportunity. We just reinforced too-big-to-fail with all these bailouts. Other than Lehman Brothers, nobody took their medicine. Restructuring Citigroup would have sent a signal; it would have imposed greater market discipline. We should have at least subordinated debt holders and made them take some haircuts and convert their positions in equity: truly force them to shed bad assets, clean up their balance sheet, make them smaller, make them more efficient. You would have had a better bank, and you would have had some market discipline. You would have sent a powerful signal that the government had the gumption and courage to stand up to these very large institutions. But that’s not what I think is the biggest mistake: We didn’t provide enough widespread relief to homeowners who were underwater. All these mortgages should have been written down to appraisal value. Along with some equity sharing with the lender for any home-price appreciation, it would have given people who were locked in their homes a way to sell them, to move, or to at least rehabilitate the mortgage with more affordable payments. There’s this great book called House of Debt that argues the real driver of this deep recession was not the banks pulling back on credit; it was the drawback on consumer spending. Our economy is dependent on consumer spending, and home equity had been driving that. Once the equity was gone, the consumer spending was gone. We had a situation where people were still struggling to pay their mortgages — they had these unaffordable payments — and they weren’t spending anything else. So I think in retrospect, we should have done that, a widespread write-down of principal. We needed something simple and radical and we just never did it. How successful do you think the reform efforts were? We’ve improved the system on the margin. There are higher capital requirements, better bank liquidity, less reliance on short-term financing, less reliance on debt among the regulated banks. Those are all positive things. But the financial system we have is basically the financial system we had in 2008, with more capital and less reliance on short-term funding, so whether it’s enough? I hope it is, but it’s still basically the same system. The political world wasn’t there in Dodd-Frank to break up the banks or do anything that would have fundamentally changed the system, so it’s still what it is. Let’s just hope it’s enough. I’m very concerned about efforts now to reduce capital requirements, to not continue with the liquidity reforms, to change the Volcker Rule, which allow big banks to take more risks. I don’t know why we’re doing that. I think this is the wrong time in the cycle. The banks profits are good, dividends are robust, and they got big tax cuts. They should be building their capital buffers. How do you think the crisis changed the world? Where do you see the effects? It’s still directly and indirectly driving the political unrest and populist resurgence that we’re seeing in the U.S. and globally. People are mad. They think the elites, the big banks, got us into this, and they just got bailed out and weren’t held to account and the homeowners were allowed to suffer. There’s a feeling of, “Why should we play by the rules if nobody else does?” We’re still living with it, and if we have another crisis, I don’t even want to think about what the political fallout would be. A lot of people who grew up during the Cold War era are mystified by why so many young people prefer socialism to capitalism. It’s not so hard to understand when you remember that a lot of us watched the crash happen as we entered the job market. Right! But the irony is, this is not capitalism — this is crony capitalism. Capitalism is letting those banks go down. The market doesn’t work unless you have accountability. When you let institutions get so big that they can basically blackmail you into providing support, that’s not capitalism. Adam Smith wanted to regulate banks! The leading capitalist understood that there was a need for regulation of banks. That’s what frustrates me about young people: They’re kind of equating this with capitalism, but it is not capitalism. We’ve privatized profits and socialized losses. I wish we had more Republicans who would stand up to these cronies who want the government bailouts — people who want a system where they can do what they want and get bailed out when things go bad. A lot of people on Wall Street still secretly want that. They think it’s the government’s obligation to keep them afloat. I’m a capitalist, and I’d rather have the state own them than have that system. So far not many politicians have stepped into that breach. That’s the thing, the Republicans used to be the people who would do that, and they won’t now, and I don’t know if the Democrats are going to step up. You know, they’re opposing a lot of what the Trump people are doing, but when they were in control, during the Clinton administration and the Obama administration, they were pretty friendly toward big banks. It’s easier to level the criticism when you’re not the one in power. It’s very frustrating. It’s just stupid economics. Set the morality aside; it’s just dumb economics to have a system like this where you’re propping up inefficient, bloated institutions. So there are good economic reasons to not have the system we had in 2008, and whether we’ve gotten rid of it or not, I don’t know. We won’t know until a big bank gets in trouble again. Then we’ll see what happens.